Large Salumi plate by Justin Severino. Photo by Adam Milliron used by permission. 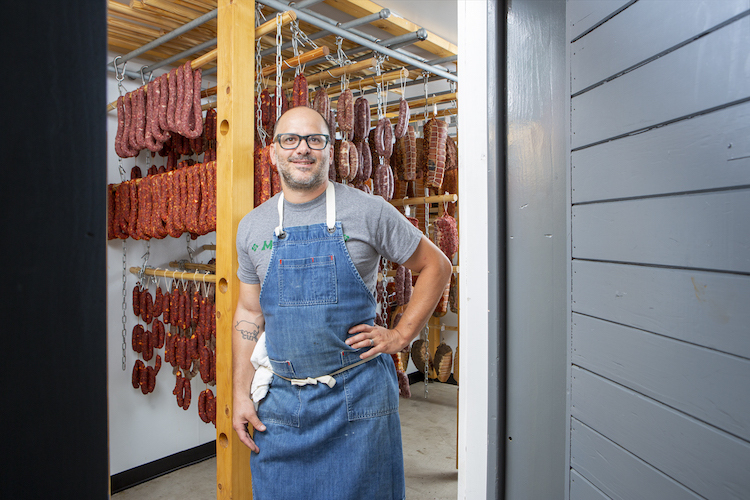 The salamis and chorizos and other delicacies made by Pittsburgh chef Justin Severino that draw so many diners to Cure and Morcilla aren’t just available in those restaurants — or even just in Pittsburgh — anymore. Severino is now selling his award-winning charcuterie nationwide through Salty Pork Bits (love the name), an online store and monthly subscription service. 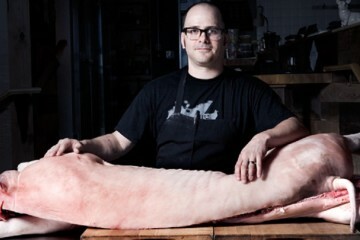 Justin Severino in his meat curing room. Photo by Adam Milliron used by permission. Salty Pork Bits is offering a three-month subscription package of what they describe as “salty pork heaven” for $135, which includes four approximately three-ounce salamis, handmade in Pittsburgh. 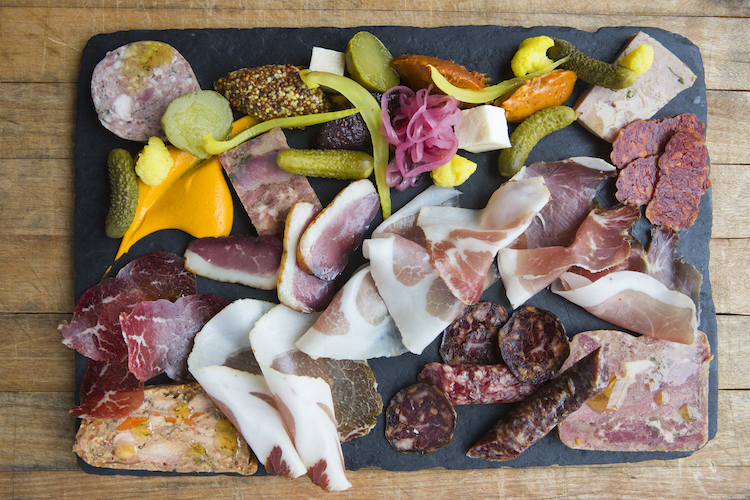 Each shipment features a mix of flavors, which may include nduja, Toscano salami, finocchiona, Calabrese salami, fuet, sobrasada, chorizo, morcilla achorizada, Iberian pepper, leek ash porcini, negroni and lamb harissa. For now, only subscriptions are available. But Salty Pork Bits says individual orders may be made available this fall in time for holiday gift-giving. And availability isn’t unlimited: They’re accepting a maximum of 200 orders for the first three-month (September, October, November) subscriptions. 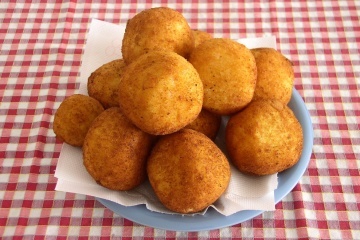 Sometime this fall, Salty Pork Bits will take orders for additional shipments for December and beyond.